The long-awaited film by renowned Iranian director Majid Majidi, Muhammad: The Messenger of God came out on 28 October, 2016, in Turkey. Members of Lastprophet.info team were among the first viewers. As a brief reminder, the film is the second ever made movie concerning the life of Prophet Muhammad after the Message of 1976 by Moustapha Akkad. The production of the film took more than seven years including two years of research prior to shooting. It is the most expensive film in Iran with a cost of approximately $40 million. Filming took place in Iran and South Africa. As for the reactions, the movie received both positive and negative comments from its first viewers. Regarding the technical aspect, the visual effects and soundtracks by Le Trio Joubran and A. R. Rahman were particularly found impressive. Choices of the cast, costumes, and the set created were successful to reflect the reality of the time period narrated. Nevertheless, in terms of the religious content, the validity of certain narrations is open to debate: For instance, the place of miracles in the period of Prophet’s childhood and many fictive elements that take place in the film... Besides, viewers with lack of background knowledge about the life of the Prophet may encounter difficulties to follow the chronology of the events due to the way of narration based on flashbacks. 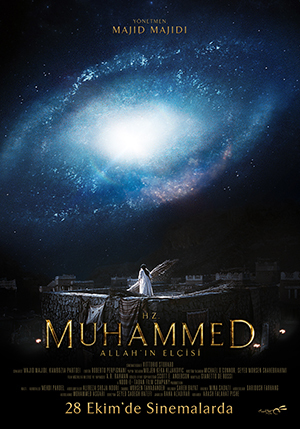 In any case, Muhammad: The Messenger of God is expected to be viewed by a high number of spectators, and a more detailed evaluation is soon to follow at Lastprophet.info.